Multiple Settings: The Waterproof LightStickTM Mini has 2 brightness levels for white light, as well as 3 red light options: solid, flashing and SOS signal lighting. Chargeable: The Waterproof LightStick Mini is rechargeable. In one charge, it can hold up to 60 hours of white lighting and up to 31 hours of red lighting. The light can be recharged in approx. 5 hours. It can be charged from most USB power sources, including SunJack Fast-Charge Batteries. An LED light indicates the power level and if the lamp needs to be recharged. Long life LEDS are rated for over 36,000 hours of use. Serves as a Power Bank: With a USB port, the WaterProof Lightstick Mini can serve as a power bank. 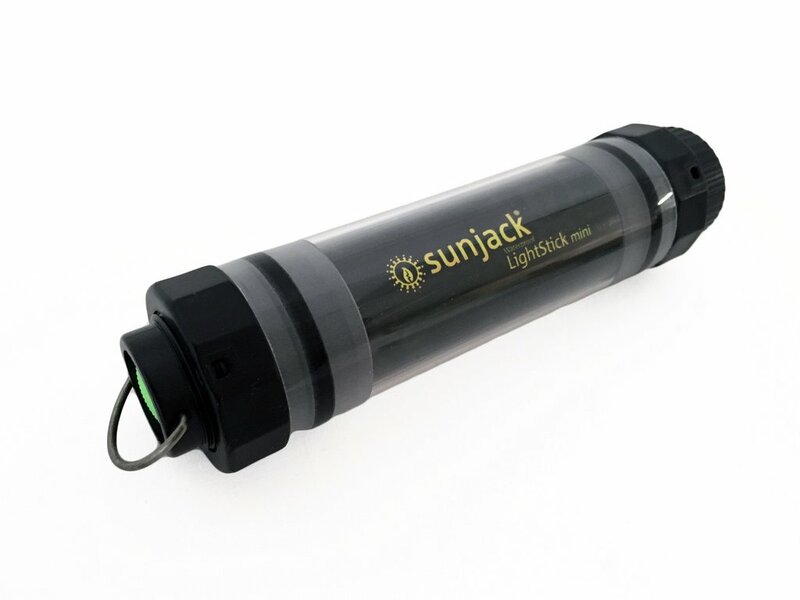 When fully charged, the SunJack LightStick Mini (2600mAh rechargeable battery bank) can charge up to 2 smartphones. Small yet Bright, Convenient and Easy to Use: The Waterproof LightStickTM Mini comes with a fastening rope. Easy to put over your wrist for walking / hiking or to use to hang the light vertically. A Must-Have Item: Waterproof (up to 6 feet) LightStickTM Mini is great for hiking, camping, fishing, snorkeling and many more outdoor and water activities. A Waterproof LightStick Mini should be in every home, travel and automotive emergency preparedness kit.